Beheading – an original source of inspiration. Even though I can’t sing, someone was once kind enough to call me “the minstrel of marketing” because wherever I go I spread little stories about brands and branding. While I like researching and writing my own version of these stories sometimes you come across one that is just perfect as it is. 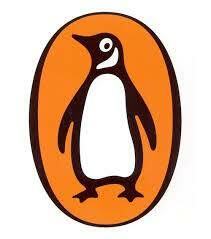 So it was when I stumbled across the story of Penguin. No, not the publisher I have already told that story. Nor was it the story of the chocolate biscuit, one to research for another time. 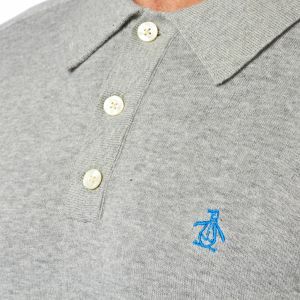 This story related to the origins of the Original Penguin clothing brand and resides on their website. 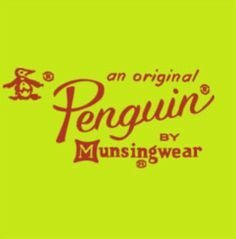 “In 1955, an ambitious salesman named Abbot Pederson traveled to NYC on a sales trip for the Munsingwear brand. With time to kill before a flight home, he decided to pop into a local bar for a few whiskeys. Little did he know, his next steps would stumble into history. A seductive stewardess Pederson had been enjoying throughout the flight removed his necktie and wrapped it around the penguin’s neck. She joked that such a dapper bird deserved to be immortalized, maybe even on a shirt. With that idea – an icon was born. Footnote: Subsequent research has shown me that there are other stories about the origins of the brand and the logo but none are as much fun so I’m sticking with this one. Always enjoy your anecdotes and stories of the origins of brands and the faux pas of businesses.